To put different material together looks better, I think. 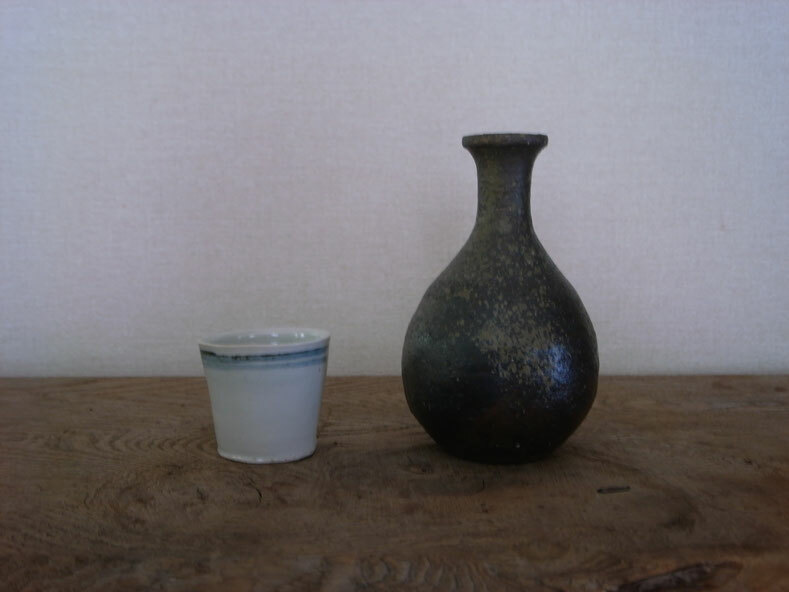 sake cup is made by Mr. Shigeo Tanaka. 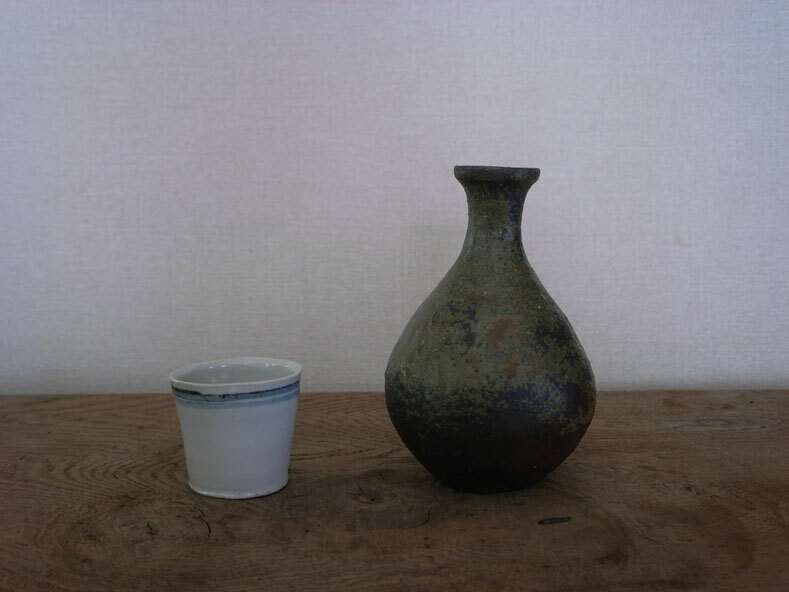 sake bottle is my work. However, It is so hard to take pictures of pottery.